Recently a customer expressed concern that an owner of an Azure resource group automatically gains access to the data within the services contained in the resource group. 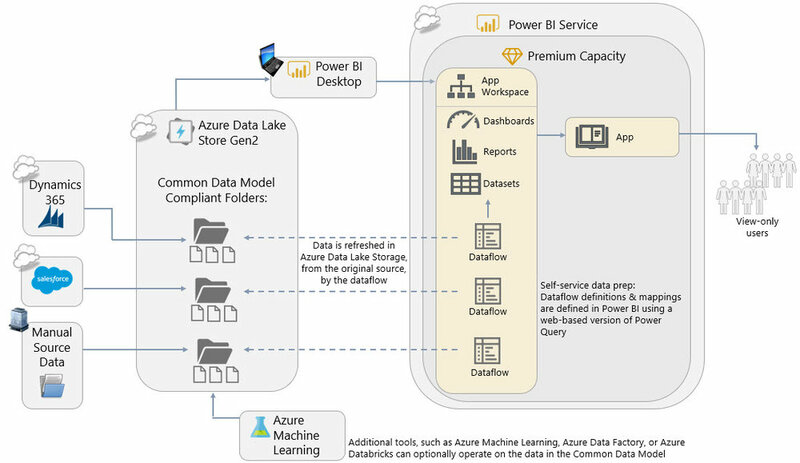 In this case, the customer was specifically referring to data in Azure Data Lake Storage Gen 1 but this concept applies to Azure Storage and some of the other data-oriented services in Azure as well. The customer’s comment prompted me to look into available alternatives. This is by no means a detailed security post…rather, I’m trying to share a few nuggets of what I learned. You cannot 'break' the inheritance model of resources in Azure. Allowing owners unrestricted access to both the management plane and the data plane is by design. However, if you have a group of people who should be able to administer (own) everything contained in the resource group, but you don’t want them to automatically see all the data, what are the options? In Azure’s RBAC model, we can add additional permissions at lower levels (i.e., like for a resource itself within the resource group), but we cannot remove an assignment that’s been inherited. An additional note about subscription level owners & administrators: Any owner you specify at the subscription level will be inherited by all resource groups and resources across the subscription—it’s a very high privilege role. The same inheritance behavior also applies to the Azure service administrator (but not the other co-administrators—they would have to be specified as subscription owners). Option 1. You could remove the owner permission from the resource group (that is the suggestion presented within the error message shown above). However, let’s say there are 10 resources in this resource group and the other 9 of them can inherit the owner permission without issue. In that case, do we really want to have to manage security for every single resource separately? That might introduce risk and inconsistency. Though if there aren’t very many resources within a resource group, that might work ok.
Option 2. You could isolate the resource into its own ‘sensitive’ resource group so it can be managed separately. This allows the other 9 resources to stay in the main resource group with normal RBAC, and just segregates this one resource. Depending on how you handle automation and deployments, having separate resource groups could add complications (because the general rule for resource groups is to group resources together that are related & have the same lifecycle). Also, it still precludes you from being able to own the resource yet not see data—this segregation would work if contributor or a custom role meets your needs, and if you don’t have subscription-level owners specified which also inherit no matter what. The above scenario indicates that Alice, a high level owner, doesn’t actually see the data. This is still in preview and I haven’t gotten it to work correctly yet, but I’m keeping an eye on this. You can find more info here: https://docs.microsoft.com/en-us/azure/role-based-access-control/role-definitions. I’m guessing this security enhancement is inspired by GDPR and/or customer needs for more granularity of permissions, so I’m excited to see where this is headed. What is Role-Based Access Control (RBAC)? This is a quick announcement of a new resource available published to the BlueGranite site. If you're interested in data lakes, you might want to check out an updated ebook just published to the BlueGranite site. It's called "Data Lakes in a Modern Data Architecture." This ebook was originally published about 3 years ago by Chris Campbell. If you saw the original, you'll note we retained the same 'look and feel' but about 90% of the content has been updated. To download the ebook, BlueGranite will ask for you to register your information. That's common for premium content like this. We take a low-key approach to sales, so I can assure you that registration only means you'll receive notifications of new content that you may find interesting. I'll be updating the ebook from time to time. For example, it already needs updating to reflect the new changes in Azure Data Lake Store Gen 2. At 23 pages, the ebook just begins to explore a lot of considerations. To see if we can help you dive in deeper (pun intended), please contact us. I hope you enjoy reading the ebook as much as I enjoyed writing it.